Snow Cover: Base of 2"
Rain and warmth over weekend and today are taking toll on the snow on trails. Slushy spots have developed in low areas as water can’t get away. Still snow/icy/slush on nearly all trails but riding would be doable but poor to fair. Our private land leases do not expire March 31 so our trails are all still open. With the snow being icy grooming is done. There is now a plowed parking area at the beginning of trail #8 under the International Bridge, which now has an all-season outhouse. Make sure you lock your vehicles and trailers. Remember trail base is the amount of snow between your track and the ground below not the amount of fluff piled up in the woods. Ten inches of snow compresses to less than an inch on the trail. Base 1- 4 inches -Trail is in poor to fair Condition. Base 1 – 4 inches -Trail is in fair Condition. When going across the bridge in Brimley make sure you go with, you’re the flow of traffic! Blowing and drifting occurs when you first leave Brimley. Watch for trail change going south just before getting to Raco. We now have a marked trail going to Chippewa Motors. It starts once you come out of the woods east of M-129 off #449. It comes into their parking lot from behind if you need parts or service. City curfew is from 1 am – 6 am. Remember most City streets are open to traffic 20 mph, stop at all intersections, and ride on the righthand side of street not on sidewalks. Watch for closed streets that are posted, mainly around the hospital, university, and state trunk lines. Base 1 – 4 inches – Trail is in poor to fair Condition. Make sure you follow reroute once you cross bridge going south at 7 Mile Road. When the trail is running along roads make sure you go with the flow of traffic on the right side of the road. Base 1 – 3 inches – Trail in poor to fair Condition. Watch for trucks on the trail. Base 1 – 3 inches – Trail in poor to fair Condition. Watch for reroute signs just west of Kinross. The Downtown Trail is now closed but signed, and snow Has been removed from the bridge. 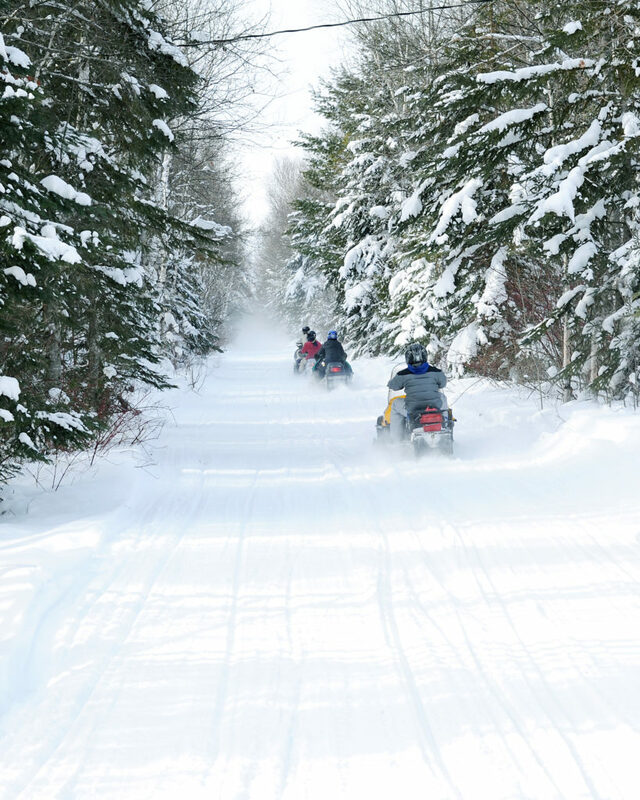 Connecting a variety of small communities and running through national forests, state forest lands and snow-covered hills and plains across the region, touring the EUP by snowmobile is both exhilarating and awe-inspiring. 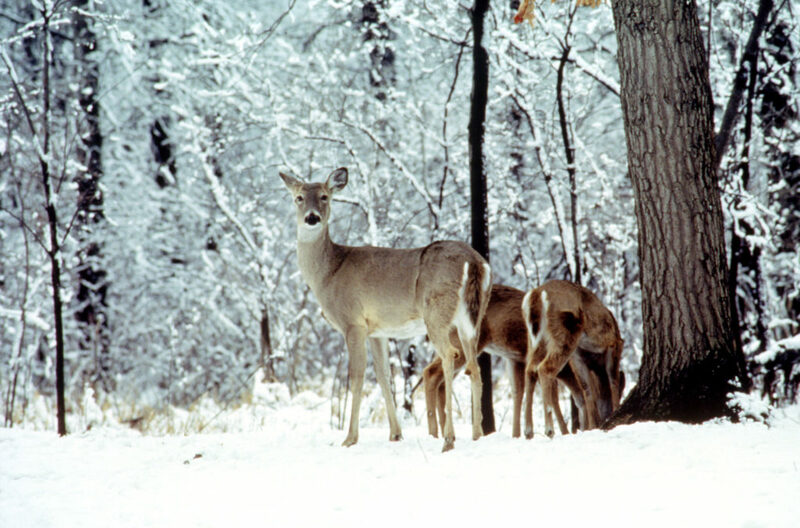 Watch for the abundant wildlife and be sure to leave time for hearty lunches and dinners at area restaurants and taverns. 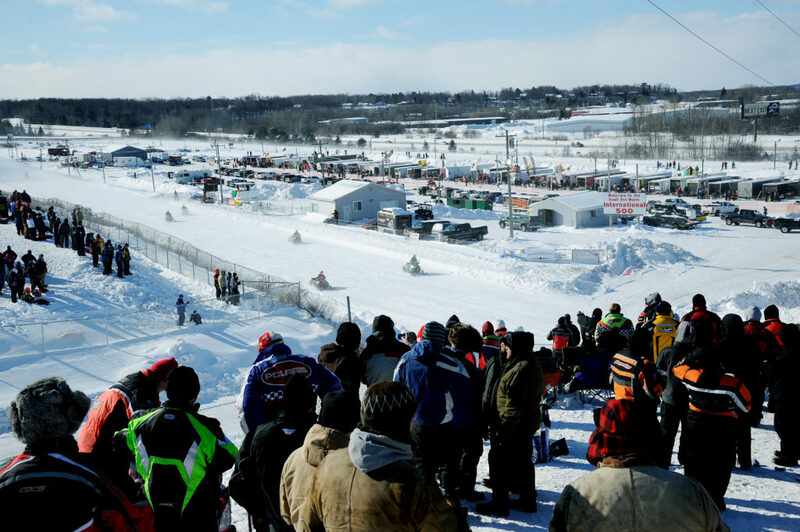 Most, but not all, city streets are open to safe snowmobiling and allow riders access to businesses and lodging. 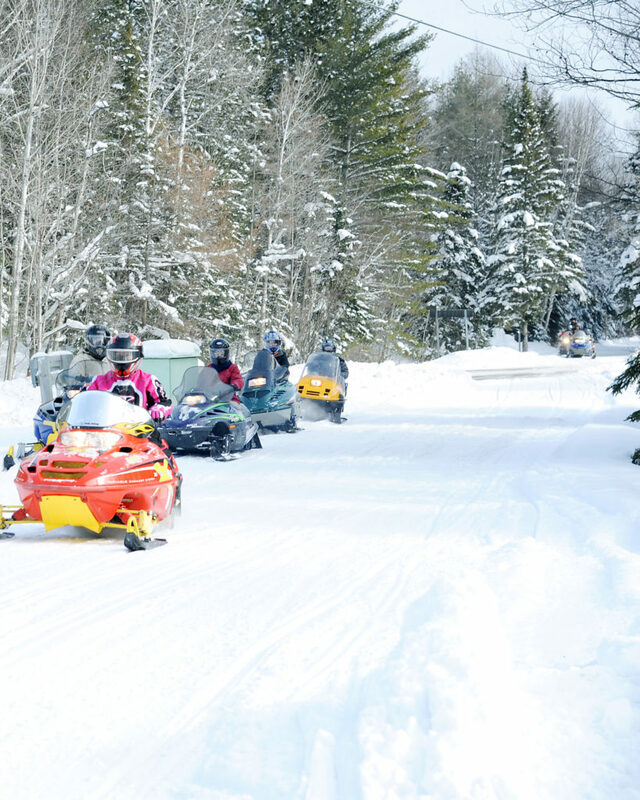 A break from the trail is equally exhilarating at Kewadin Casino or in downtown Sault Ste. Marie, where a local brew pub, wineries and restaurants await you. 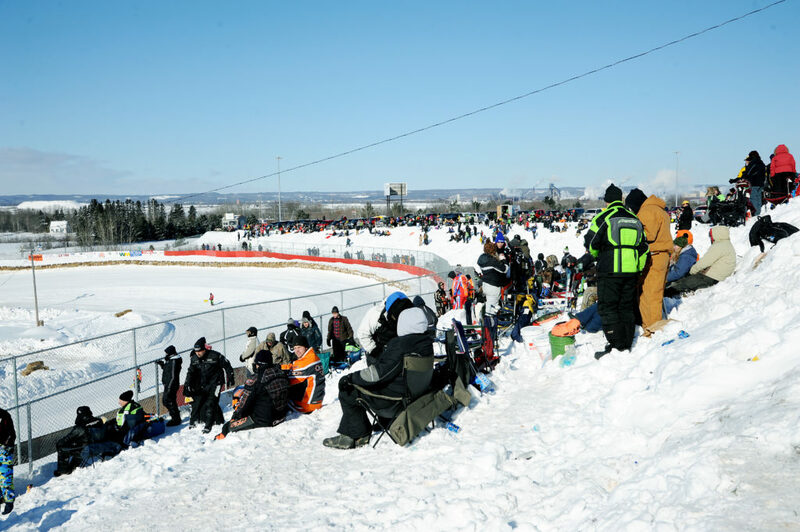 Be sure to put the first Saturday in February on your calendar, when the International 500 snowmobile race brings NASCAR-style excitement to the snowy city.